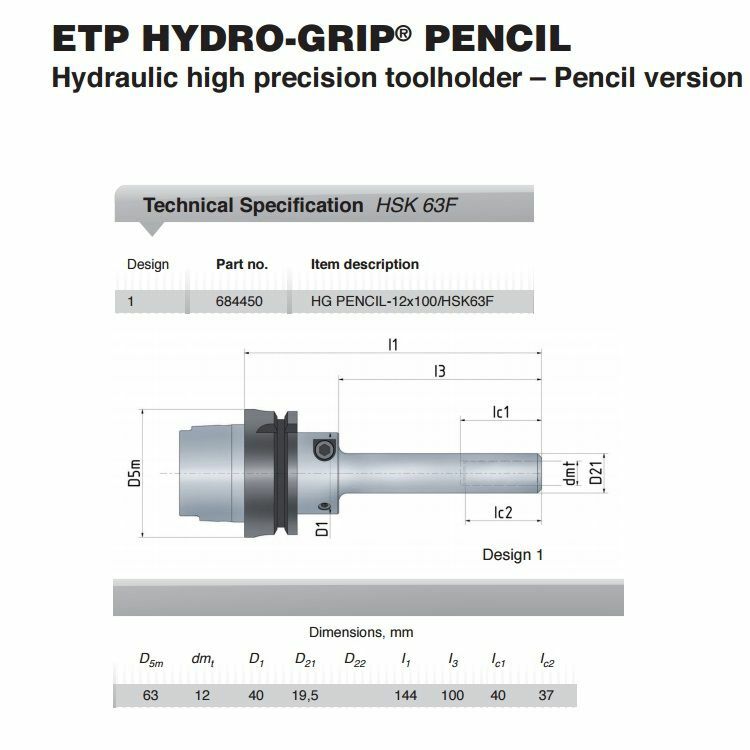 ETP HYDRO-GRIP® Pencil-12x100/HSK63F | DamenCNC B.V. The TeknoMotor ATC is often used in Robotic Milling Projects. For Robotic milling, often long tools are required to be able to correctly reach the product/object. The problem with long tools is unbalance, which can cause damage to bearings. 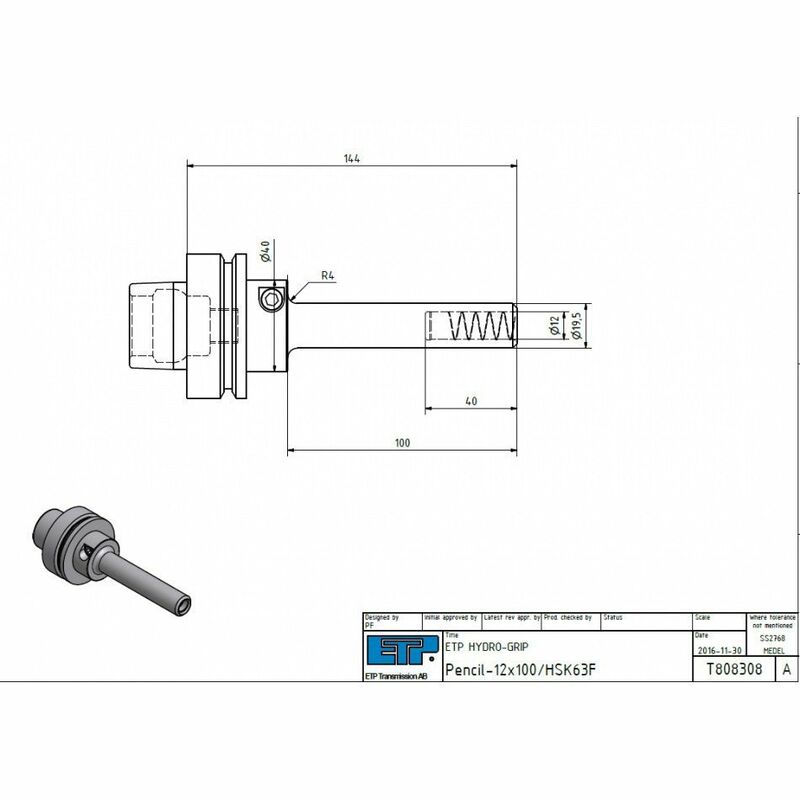 These ETP Pencil Routers are balanced to highest standards and have very low run-out. 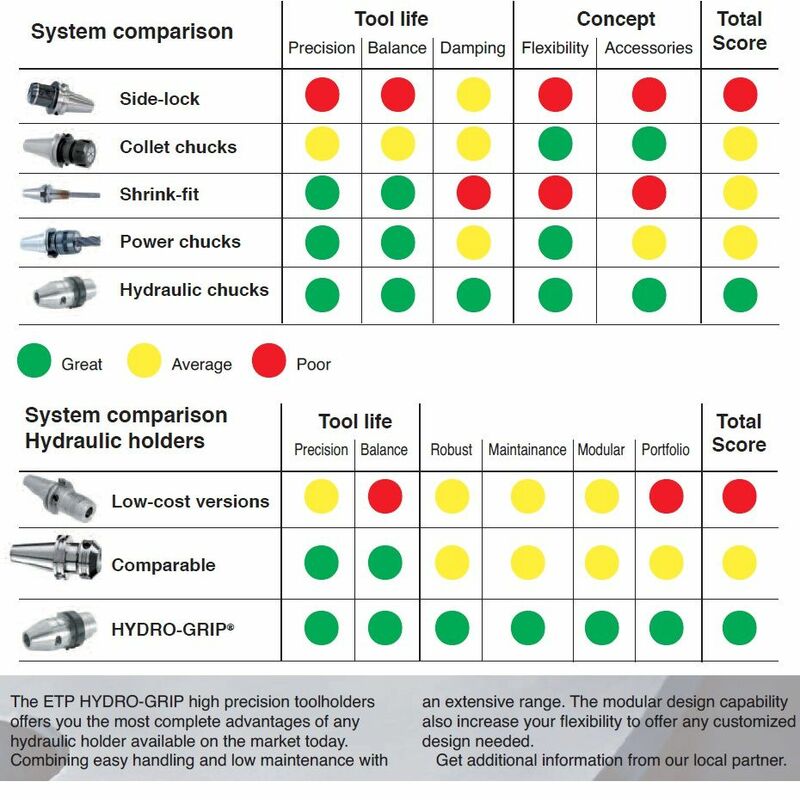 ETP HYDRO-GRIP PENCIL is with its extreme slim design one of the most versatile holder on the market. 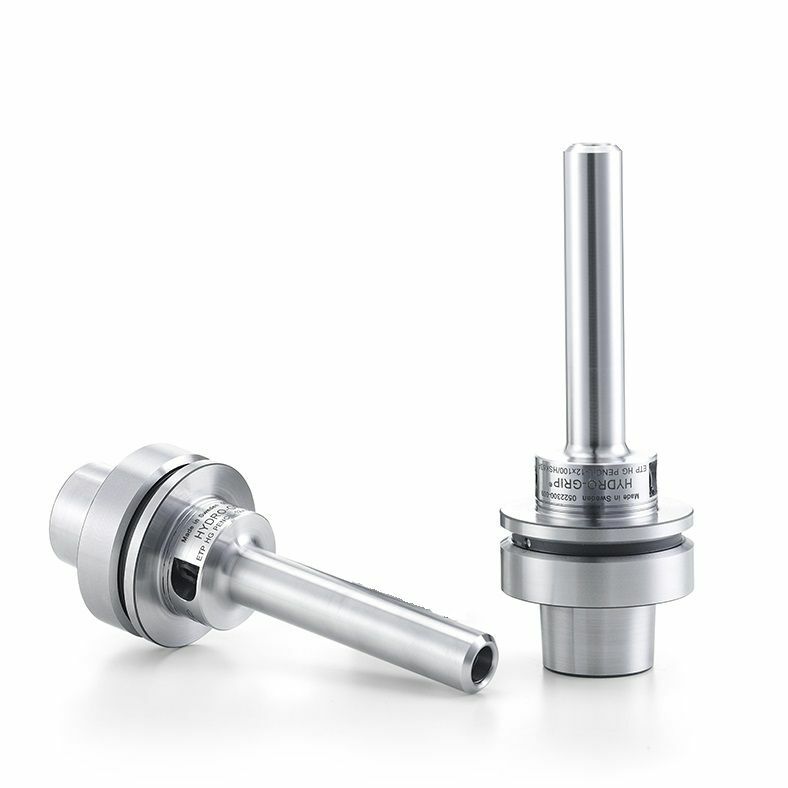 An extensive range of standard dimensions and lengths optimize your productivity when machining deep cavities and complex components. 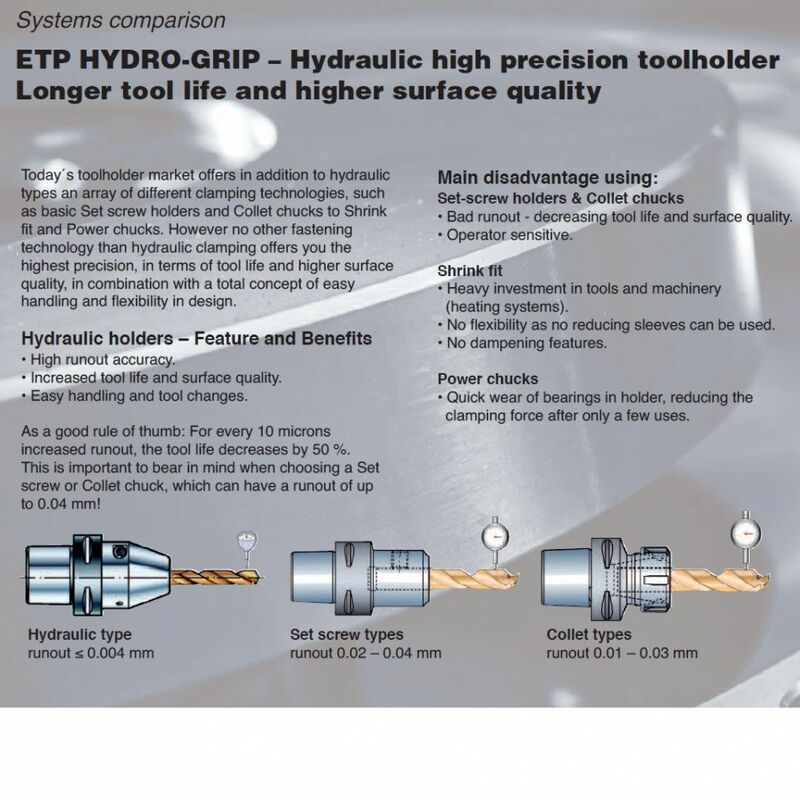 ETP HYDRO-GRIP PENCIL can also be made to your specific gauge line requirement, using our Special designs possibility.